On April 11, LUMSA University is organizing a seminar to discuss the progress of the i-CONSENT project. 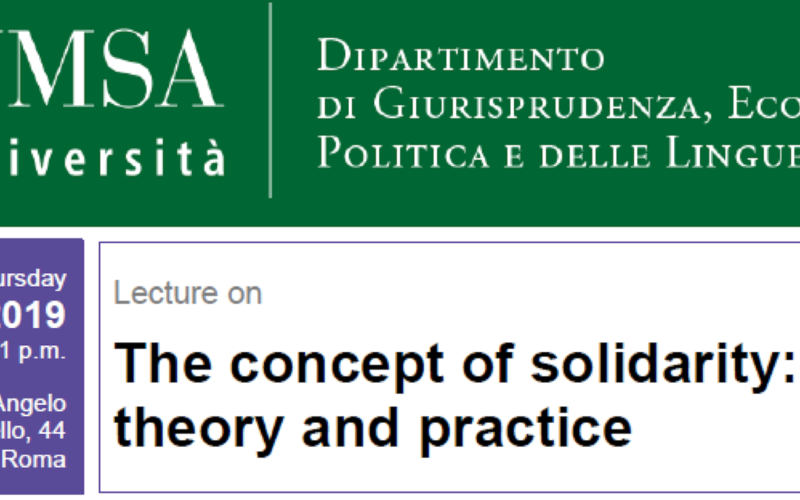 Prof. Barbara Prainsack Professor at the Department of Global Health & Medicine at King’s will be present to give a lecture on “The concept of solidarity: between theory and practice”. A detailed program will follow. 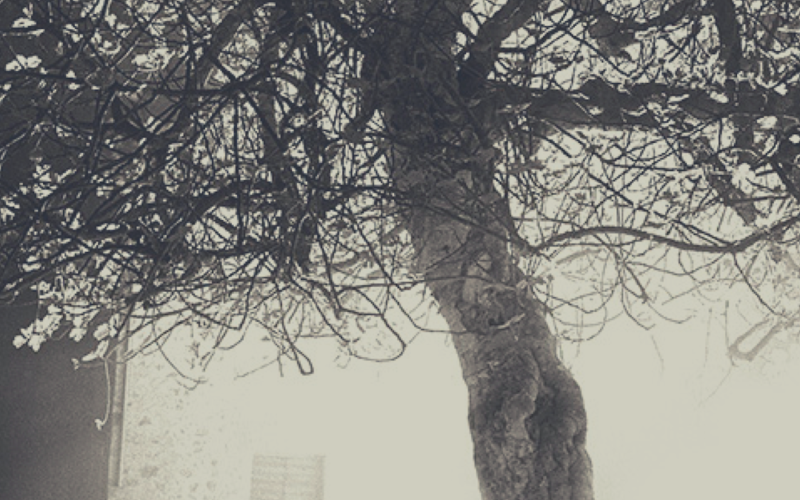 On Friday 5 April (15: 30-19: 00, Master Classroom, 1st floor) the Group of Neurobioethics, coordinated by our Chair fellow Fr. 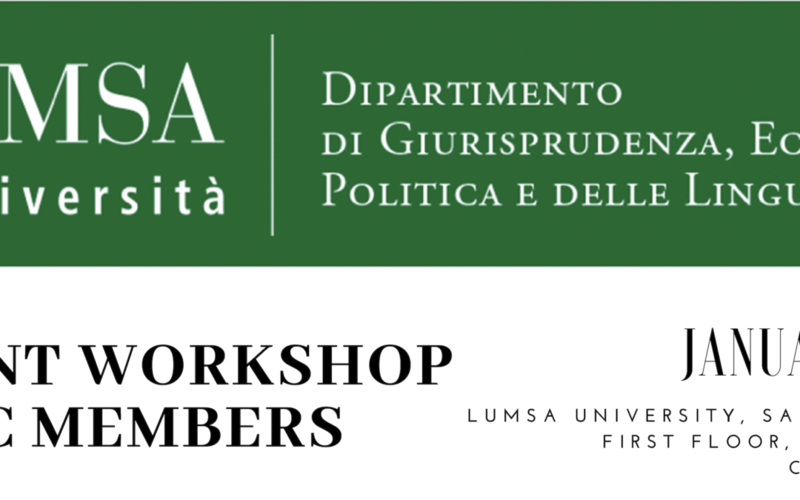 Alberto Carrara, L.C., is organizing an interdisciplinary dialogue entitled: Law and Life: dignity in living and dying between informed consent, advance treatment provisions and the ordinance n.207 of 2018 of the Constitutional Court. The speakers are: Avv. Emanuela Cerasella, Avv. Tania Cerasella, Dr. Francesco Ognibene, Dr. Suor Costanza Galli, Prof. Giuseppe Noia and Dr. Angelo Mainini. Prof. Father Alberto Carrara, L.C. 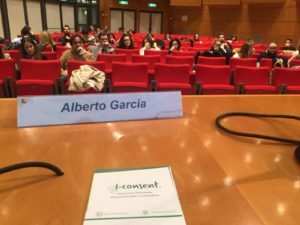 On January 31st the i-CONSENT Consortium will gather in Rome to provide an overview of main findings of i-CONSENT Project and to discuss comments elaborated by IBC members. The Consortium will also identify any gap in i-CONSENT work and suggest actions to improve strategies aimed at increasing participation of human subjects from multicultural backgrounds in clinical trials. UNESCO Chair Director, Prof. Alberto Garcia will analyze Informed Consent from a multicultural and interreligious perspective. 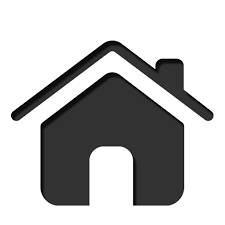 Follow this link to read the program. 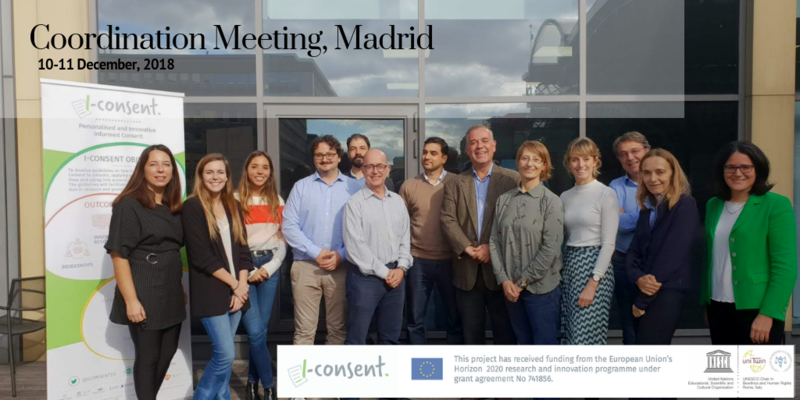 On December 10th and 11st, our Director Alberto Garcia and Research Scholar Mirko Garasic, will participate in the Coordination Meeting in Madrid to discuss the progress of the i-Consent project. 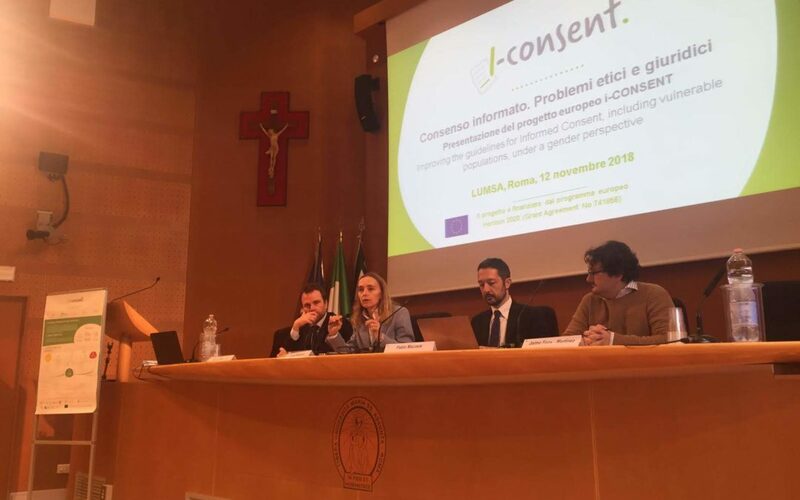 On October 10th and November 12nd, Prof. Alberto Garcia, Director of UNESCO Chair in Bioethics and Human Rights, attended LUMSA’s venues in Rome and Palermo to give a presentation on the details of the European project of i-CONSENT, as well as to explain the intricacies that go along the practical and theoretical notion of informed consent (IC) in clinical research. On a theoretical level, Prof. Garcia highlighted the importance of taking into consideration the factors of gender, age and cultural and religious background if one’s approach to constitute successful patterns of informed consent is to be effective. Thinking about these vulnerability factors will help consolidate i-CONSENT as a person-centered project, as it considers how the above mentioned factors change the way in which patients understand information and communicate with others. He also approached the tensions that arise from a conceptualization of IC that depends on a notion of individual autonomy that is not shared by all cultures and religions: while western culture tends to give importance to the individual and his or her rights, eastern traditions use to put more weight on community and the duties that derive from it. Thinking about how each major religious tradition (namely Buddhism, Confucianism, Christianity, Judaism, Hinduism and Islam) views IC in accordance to their doctrine and traditions will help to outline defined goals for the effectiveness of i-CONSENT. Prof. Garcia went on to talk about the practical expected outcomes of the project: i-CONSENT intends to be beneficial both for patients and researchers, in a way that will benefit society as a whole. In its person-centered approach it will develop different tests and will aim to involve different physicians in accordance to the profile of the patient, effectively incorporating its principles with their presence on regulatory bodies and ethics groups. The overall goal, according to Prof. Garcia, is to increase the standards of clinical research by making IC form and the whole process more comprehensive and mindful of the patient’s particularities.